Rodents are known carriers of disease and if you are experiencing an infestation in and around your home, there are two things you need to do. First, have a NJ pest control specialist visit your home to assess the problem and create a plan of action. Second, read on to find out why it’s important to have your space free and clear of rodents. When it comes to rats and mice infesting your home or yard, you don’t want to ignore the problem as these pests can spread more than 35 diseases. – By handling a live or dead rodent. – Through direct contact with rodent droppings (urine and feces) and their saliva, and handling nesting materials. – Via a rodent bite. – Bites by ticks, mites, or fleas that have fed on an infected rodent. Several of the diseases that rodents can transmit include hantavirus, which can be fatal. Lymphocytic Choriomeningitis (LCM) symptoms come in two stages. Plague is serious but treatable. Tularemia can be life-threatening but is treatable. 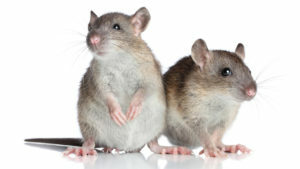 At Stern Environmental, we are dedicated to helping our customers have a pest free home, which includes rats and mice. Our NJ pest control staff have years of experience and know how to address each situation efficiently and with the utmost care. Call today for a free home inspection and peace of mind.